Owning a home is a beautiful thing! Your first purchase, however, can be both a nerve wracking and exciting experience. In order for the purchase to be joyful and satisfying, it is vital to have peace of mind knowing that all necessary inspections were done correctly, enabling negotiations on the purchase "price" to be conducted objectively. As important, you need to make sure that all the paperwork has been accurately completed and signed. 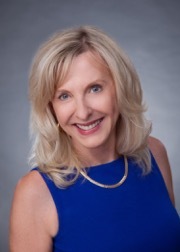 Having experienced Maui Realtor Fred Haywood on your side, with 40 years of successful transactions and happy clients, will take a lot of anxiety out of the process! I will help you each step of the way, just like I have with thousands of clients. As a first time home owner, you are now in charge of what you can do with your home. Free of rental restrictions, you can design the interior to reflect your preferences and lifestyle values, and you can surround yourself with all your beloved pets. You also have a mortgage, taxes and home maintenance to look after as part of your new home ownership lifestyle. For most, it is important to budget for your home maintenance costs, as these do add up over time. The landlord that you relied on to make repairs when you were a renter is now you, the homeowner. It is wise to budget sensibly and secure enjoyment of your wonderful home. Owning your own home includes freedom and also responsibility. It's about preparation to maintain your home over the years, realizing that part of your income and time will go towards repairs and maintenance. It's about willingness to assume the risks of home ownership with a realistic expectation of the rewards. Budgeting for basic upkeep of your property will maintain your investment and its market appeal should you choose to sell. It can be discouraging to find that your income won't stretch as far as the home you want to own. However, sacrificing a disproportionate amount of your income to pay the mortgage can very quickly make home ownership a burden rather than a point of pride, pleasure and treasured memories. If that is the case, better to buy a more affordable home now and look to purchasing your "dream home" in a few years. This is something that lenders take very seriously. Your overall debt should not be more than 40% of your income, and your housing debt should not be more than 32%. What 32% of your income will buy depends on factors such as your available income, and where you want to live. All areas in Maui have real estate prices well over the mainland average. The more desirable a particular area, the higher the prices. FRED HAYWOOD REALTY CAN HELP YOU. 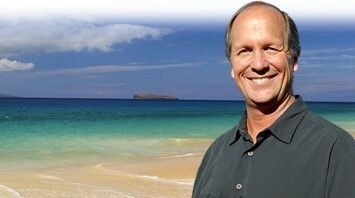 You need a good agent, an experienced Maui Realtor, who is responsive to your requirements and will work hard for you. I am dedicated to helping you find the right home at the best price. I want you to find the home that will bring you enjoyment and success in real estate ownership. When you hire me to help you buy your first home, I want to know what you want and how much you can afford. Then I can merge these two priorities, and help you purchase a residence that you'll enjoy owning. Keep your objectives in mind when visiting a home. Sometimes the idea of owning a home can overwhelm your practical sense, so keep your feelings in check. Keep a list handy of the features that you need and want in a home, and judge each home by the list instead of by details that could distract you from your goal. When you're alone with your agent, you can go over the pros and cons of each home. I can help you stay on track while still keeping my eyes out for a great property. Make the offer. The extensive paperwork involved can be daunting to even the most experienced home buyer. Property transactions are a maze of "buyer", "seller", "chattels", "deposit", escrow, "completion", and more. I am happy to prepare the paperwork and go through it with you before submitting to other parties. Remember, the seller may reject or counter your offer, so even at this late date, avoid setting your heart on the home you hope to own. As part of the process, you'll probably have to write a deposit check that proves the seriousness of your offer. Get all necessary inspections done. A home inspector will check for signs of harmful materials, deficiencies in construction, plumbing, electrical and more. Termite inspectors check for evidence of active termites and other pests. Surveys are also important on Maui to confirm boundaries, structures, easements and other factors. This is a crucial part of the home purchase. Not getting an inspection or survey done means that you could be stuck in a home with serious issues that will negatively effect your investment. These things cost a few hundred dollars, but this is more than worth it in the end. There are several professionals in the area that I can recommend. Do a final walk through before closing the deal. I am happy to do this with you to ensure that everything agreed upon is completed prior to final signing. From the first interview that establishes your requirements, to the moment you receive the keys, I can help you with the complicated and complex process of buying a home. Contact Fred Haywood Realty for more information about first time home purchasing, and how I can make the home buying process easier for you.